Modular 4-Drawer Horizontal CD Storage Chest on Stand. Dimensions are: 18" H x 34 1/4" W x 16 D" - standard depth 12" may be made up to 18" deep with four drawers, in each horizontal row. 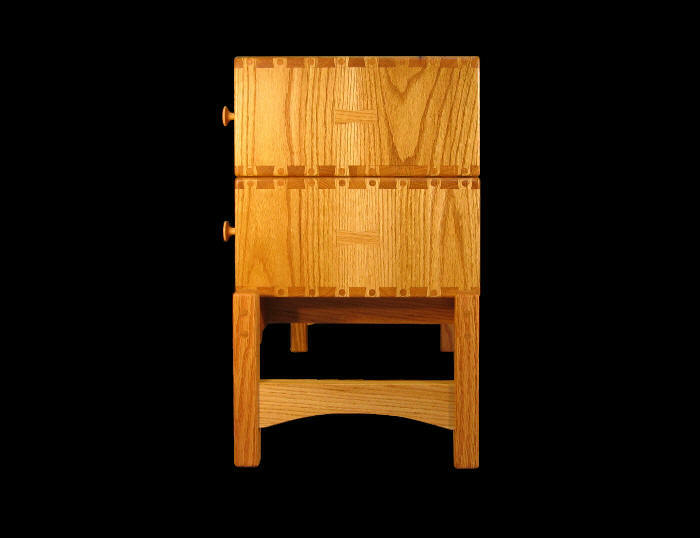 Click to see a similar piece made of cherry and walnut. 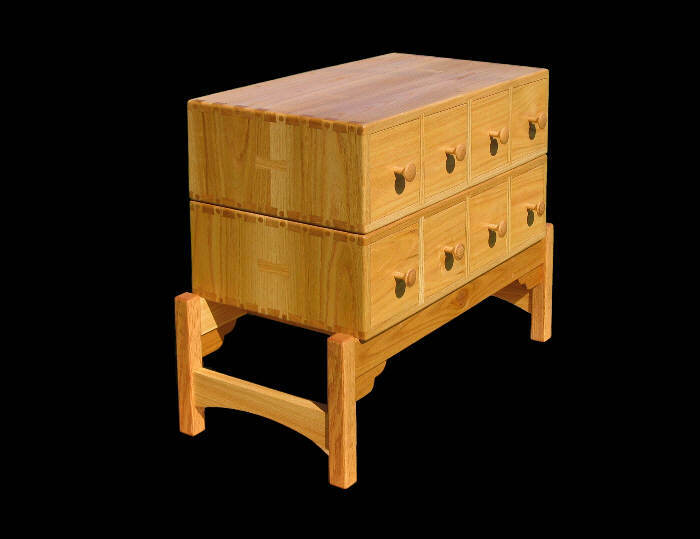 Click to see a 4 row 16-drawer cherry piece. Click for CD drawer capacities. 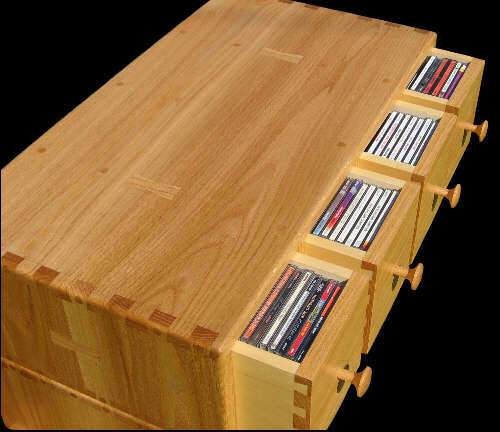 This very special CD storage furniture piece is solidly made to last for generations of use. Construction features intricate dovetailed joinery and hand workmanship. May be made in a large variety of woods. 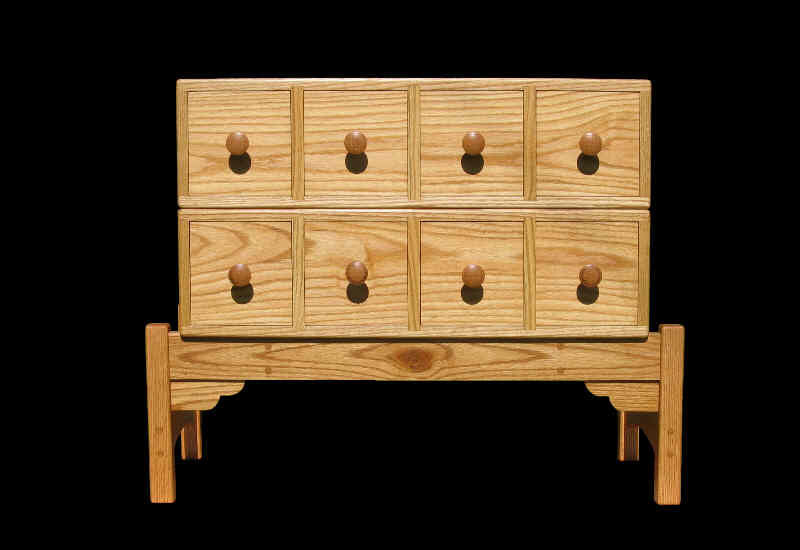 This piece is made of red oak with a natural golden finish. Many woods are available. Special feature *Horizontal rows may be added as your CD collection grows. Copyright ©2005 -2012 Stan Pike Designs.